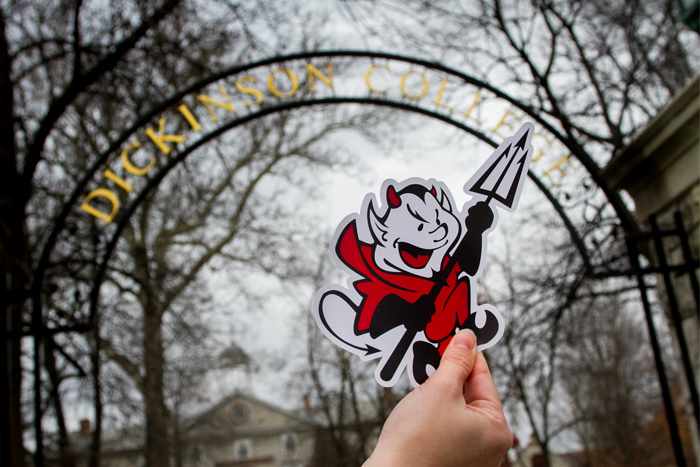 ’Tis the season for early college acceptances to start reaching inboxes and mailboxes around the world, and Dickinson is pleased to extend offers of admission to 220 Early Decision (ED) applicants, who will comprise part of the class of 2020. These students were selected from a strong pool and represent 21 states plus Washington, D.C., as well as seven foreign countries. Forty-nine percent are men, 51 percent are women and 20 percent are domestic students of color. In addition, 9 percent are legacy students with a family connection to Dickinson. And it’s clear that demand for Dickinson remains strong this year following last year’s high enrollment—total applications are trending ahead of last year, with 3,707 received to date. With two of four deadlines having passed (Early Decision I and Early Action), applications are still being accepted under the Early Decision II and Regular Decision deadlines (Jan. 15 and Feb. 1, respectively). Students admitted in this first group are sharing their excitement on social media, and the Dickinson community is joining in! Follow along and offer your congratulations using #dson2020.